Just over a week ago, the PLL announced a new position and the person they hired to fill it. Given where the PLL is right now, announcement of all kinds are expected to be coming from them regularly. Nearly every one of them is also expected to carry a big name with it. The reason behind this all is obvious: the PLL is still in its infancy. There are more unknowns regarding the league than knowns. We still don’t entirely know how the league will operate, nearly anything regarding on-field expectations — and last but certainly not least — where their games are going to be held. All of these things will be coming as the league methodically works through their growing process. But, when this recent release came out announcing that Josh Sims has been hired as Head of Lacrosse, it was certainly worth a closer look. As I read about what this position was intended to be, it meant one of my biggest questions about the PLL had finally been answered. READ MORE: Check out more of Ryan Conwell’s articles on the LaxAllStars site, including his recent Breaking Down article of the New England Black Wolves roster moves here, and his ever-popular Know the Game podcasts here. The big question: How do you separate Paul Rabil, the player, from Paul Rabil, the league founder? You can point to the fact that he is not actually at the head of the league office. That responsibility falls to his brother, Michael Rabil. Now, sharing the same last name and being business partners hardly offers the type of separation you need when things hit the ground. The reason why this question nags at me is because of the “what-if” scenarios that start playing in my head. There’s no clear separation between league decision-making and the player, and things start to lose their sense of professionalism that this league is meant to radiate. What if the team Paul Rabil is on dominates the competition? What happens if they’re the worst? Are there trades, personnel moves, or roster rules in place to benefit him and keep him as the star? Are some of these scenarios likely? Not really. But any organization which values a strong public image needs to take appropriate steps to mitigate risks like this as much as possible. Enter the Head of Lacrosse. In the press release, the description of the job is pretty basic, but there are many things you can draw from it. 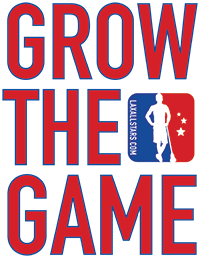 “… Oversee the league’s competition, management of coaches, players and game operations, as well as lead the implementation of league rules and statistics. He will also work closely with the PLL Lacrosse Advisory Board and its Chairman, Seth Tierney, to provide further governance on the awards systems and maintenance of fair and competitive play in the league,” according to the release. The things to focus on are the responsibility for competition, league rules, overseeing the coaches, league rules and governance. Most importantly, it means that this role will be serving as a buffer between the Rabils running the league as a business, where they go, partnerships, etc. and Paul Rabil the player. Rabil can be a player on the weekends, but spend his weekdays as an executive. For the coaching that this position will oversee, we know who they are through previous announcements. They all have either college or pro head coaching experiences, so they all know how to build a team. The other thing you’ll notice in the wording here is that Josh Sims will be overseeing the coaches, not GMs or more generically team management. So, we can also infer that there are no additional GMs and the coaches are going to shoulder that team building responsibility. To just be sure, I did ask Sims. So, while we will learn things in year one, we can expect more changes going forward. Tying Josh Sims to this makes sense given his experience with the game in both the MLL and NLL. His playing experience speaks for itself when it comes to him understanding the on-field aspects. He was a three-time All-American, a national champion, McLaughlin Award winner (which interestingly enough, was also won by PLL leaders Rabil, Kyle Harrison, and Tom Schreiber), NLL Champion, NLL All-Star, MLL Champion, MLL All-Star. But for what his new role entails, all those awards mean next to nothing compared to what is required from his off-field work. According to the release, he has had experience working with Under Armour. But, to really understand how his professional background would be an asset, I reached out to see if he would be willing to have a brief conversation about it. Fortunately for us, he was more than happy to oblige. I spoke to him on his second day on the job, so while many things were still new and he was still grasping his ever expanding to-do list, the main focus of the conversation was about what he had done, not what he was going to do. For Josh Sims, he has a ton of optimism going into this new opportunity. “One of the things that was a good indicator for me was that anyone I talked to that had worked with Mike and Paul said it was positive,” said Sims. A bonus for Josh Sims is that he isn’t new to being an entrepreneur or building a business, either. It started when he moved out to Colorado to play for the Mammoth. He was the executive director for a youth lacrosse program and then teamed up with fellow Princeton alum Trevor Tierney to build a club program. Combining that with also playing for the Denver Outlaws made it, in his words, “a lot of lacrosse,” since he was also a Warrior rep at the time. He then left the lacrosse business for a bit and went the entrepreneurship route in some unrelated fields. It was after doing that for a bit when the Under Armour opportunity came up to head their lacrosse division. When he started there, he was essentially the only full-time lacrosse employee. Everything he did had to be cross-functional. That included as he tried to form the T22 partnership and become the primary NLL supplier. Even in a brand-centric company like UA, this was a hurdle he had to deal with. Walking into that situation, Sims eventually built out the lacrosse business. After a few years he moved out of lacrosse and into their field testing and technology group, working with things like their wearable technology and sensors. When he left Under Armour, he stayed involved in the consumer tech and software space by doing some consulting work and continuing with product development. That brings us back to the PLL. The skills he had in building out the lacrosse section of Under Armour and his background in entrepreneurship make him a perfect fit for this league at this time. The PLL is an absolute startup right now. You look at their investor base, Michael Rabil leading the way, how long they’ve formally existed, to how they are offering equity and spending their money and every sign points to a classic startup business model. Being familiar with that type of environment and managing appropriate expectations will be huge. Pulling on his experience on cross-functional teams with competing priorities is also going lend itself well in this environment where he will need to utilize resources that are not reporting directly to him, but he still needs them for getting things done. So, when you combine the immense lacrosse experience, comfort in the startup world, ability to grow a business at the national level, and find success doing it all, Josh Sims fits the bill perfectly. Simply put, in filling this critical role for the league right now, they have found the ideal match.